Audi A5 Sportback Performance, Engine, Ride, Handling | What Car? Depending on which trim you choose, there are four suspension options. Entry-level Sport has the softest springs, which are called Comfort Dynamic, while S line and Black Edition get a stiffer set-up, which you can add as an option on Sport. 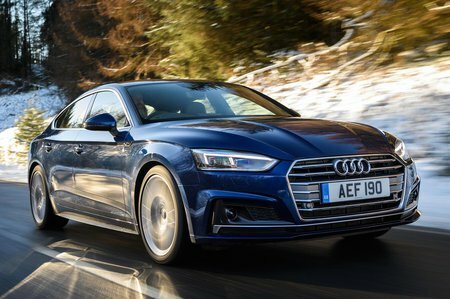 Then there’s the even stiffer S Sport suspension that comes as standard on the S5 (although this version is temporarily off sale), while adaptive dampers are standard on top-spec Vorsprung trim. These can be added at extra cost to everything other than Sport trim. We’ve tried the S line suspension, which is a bit harsh over rougher urban roads and thumps heavily over potholes and the like. The same is true of S Sport suspension so, if possible, avoid both. Instead, we recommend going for the adaptive suspension; if you pop it in to its softest Comfort mode it wafts over most intrusions with wonderful compliance. 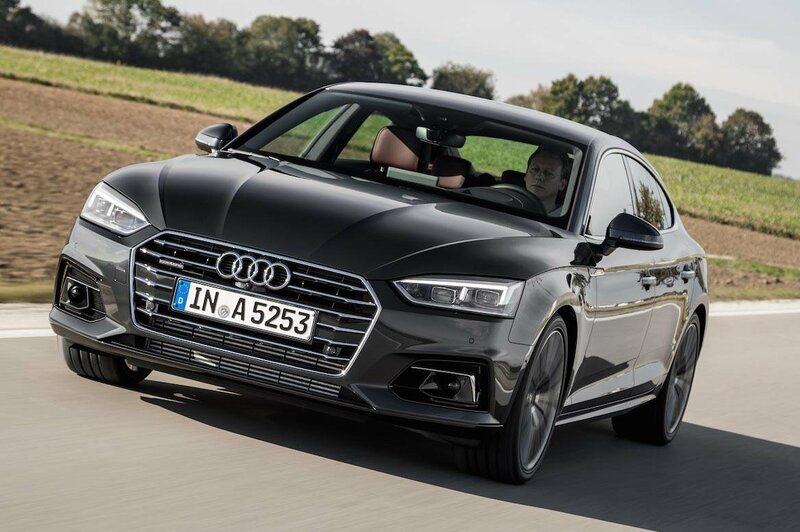 Audi says that it has intentionally made the A5 'sportier' than the A4 because that’s what buyers will expect from a four-door coupé. The truth is some still might find the rear-wheel drive thrills of the BMW 4 Series Gran Coupé or Kia Stinger rather more exciting, yet there’s no doubt that the A5 is extremely capable; it's well balanced, sure-footed and able to cover ground rapidly without drama. 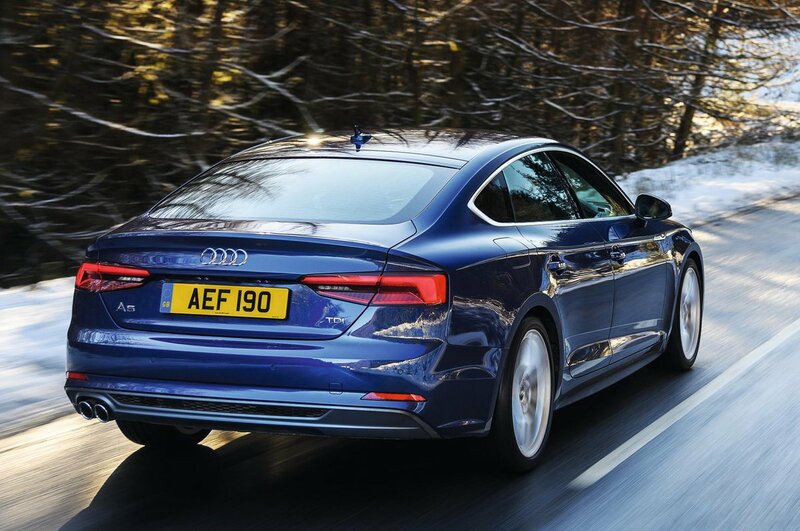 The steering is precise, the body resists lean and, while you can easily spin the driven wheels of front-wheel drive versions when the road is wet, quattro four-wheel drive models have vast reserves of traction, pretty much regardless of the weather. There's a punchy 2.0-litre diesel engine with 187bhp called the 40 TDI. This feels more than muscular enough to live up to the A5’s executive sporty image, while also proving impressively smooth — more so than the 420d Gran Coupé. The petrols start at 2.0-litres. First off is the 35 TFSI which has 148bhp and needs to be worked pretty hard to make the best of its performance. The 40 TFSI, with 178bhp, makes more sense; it still needs revving hard but has much more poke. Then there's a 242bhp 45 TFSI that is properly brisk. All those four-cylinder 2.0-litre engines sound a bit gruff, though, compared to the S5. That uses a smooth, turbocharged 3.0 V6 petrol with 349bhp. Helped off the line by its four-wheel drive system, we tested it on the track and managed the 0-60mph sprint in a scarcely believable 4.4sec. However, once it’s moving, the Kia Stinger GT S matches it for pace. Most A5s come with a quick-shifting dual-clutch automatic gearbox, which can be a little jerky at parking speeds. The manual gearbox is only available on the 40 TFSI and has a fairly uninspiring, lacklustre shift action. Stick with smaller wheel options and road noise is extremely hushed, while all models have low levels of wind noise.